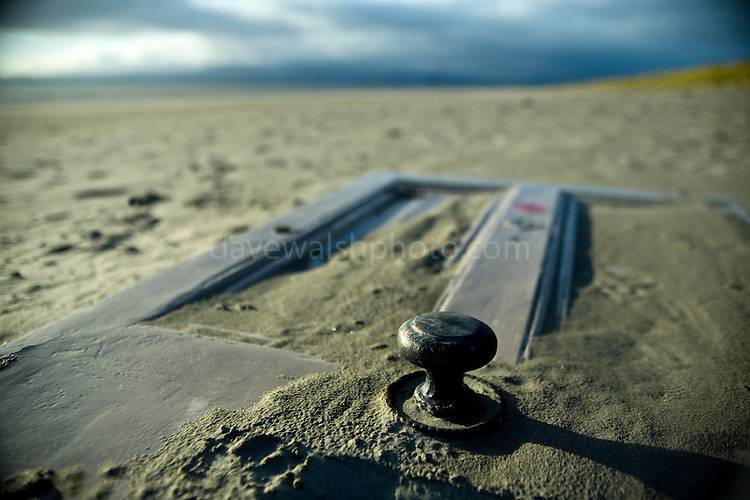 Discarded door on Dollymount strand, Bull Island, Dublin, two weeks after I first photographed it...Bull Island is a UNESCO protected biosphere reserve in the Northern suburbs of Dublin. It features two golf clubs, and Dollymount beach, used for kitesurfing and other outdoor activities. Wildlife includes seals and bird life.